Most job applications are made up of two parts – a CV and a cover letter. 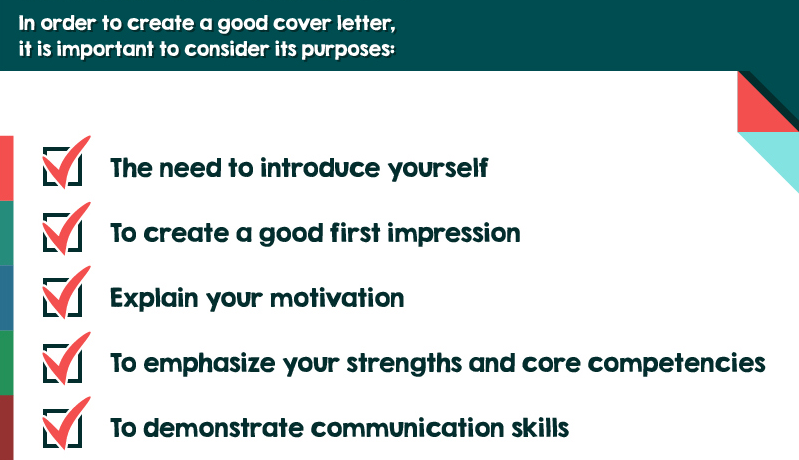 The cover letter is usually the first thing the employer will see, so a good cover letter is like the wrapping paper for your CV: it gets an employer excited about what’s inside. While your CV tells a potential employer about your skills and experience, a cover letter tells them exactly why you're applying. Now writing an exciting letter for a job application might sound like a tall order, but the good news is there's a knack to it. In fact, it's a bit like a recipe – as long as you know the ingredients and how to put them together, the result should be perfect. The infographic on the right lists the main purposes of a cover letter – you'll find it much easier if you bear these points in mind when writing yours. Right click and select "View image in new tab" to see a bigger version. Most employers have to look through dozens or even hundreds applications for every job they advertise. Writing a strong cover letter will make you stand out from the crowd. It's important to remember that every cover letter should be unique to the job you're applying for, but there's also a standard way to structure them. 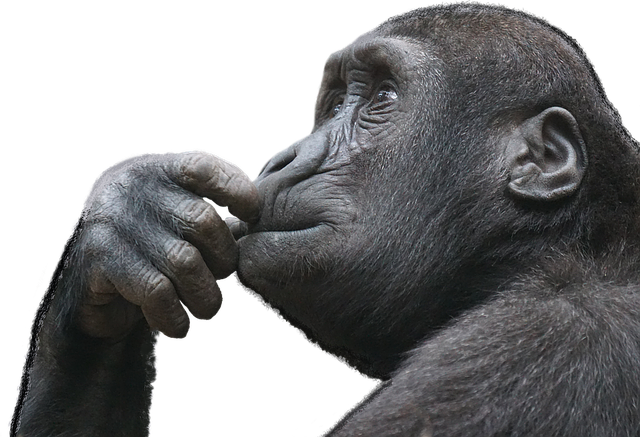 Following this formula makes it easy for the employer to find the information they're looking for, and shows them that you've done your research and care about the job. Cover letters are divided into three parts: the introduction, your "pitch", and the sign off. Here, we show you exactly what to write in a cover letter. Top tip: Find out the name of the person who will be receiving the letter. This grabs their attention and shows that you’ve taken the time to tailor your letter specifically for them. You can start with “Dear Hiring Manager” or “To Whom It May Concern” but it's always best to use the person's name. We recommend making a phone call if you can't find it online. It's not as scary as it sounds, and gives you chance to introduce yourself verbally. This is where you get to really sell yourself. First of all, let them know why you want to work for them. Don’t just say "I need a job": show them you care about what they do. If you’re a fan of one their products, let them know. Or maybe you’re after a challenge? Write that down, too! Next to each, note down why you meet it and some specific examples which show this. These can be from school, your part-time job or any clubs or societies you're part of. For example, if the job requires you to handle money, let them know about your great maths grades. Include as many of these as you can in the space you have available, which will be one or two paragraphs. As long as it's relevant, you can use one example to illustrate two or more skills from the job description. Alright, you're almost done. But like any polite conversation you can’t just up and leave without saying goodbye. Thank the reader for their time, let them know you’re looking forward to hearing from them, and sign off with a nice "Your sincerely". Start as you began your cover letter: "Dear so and so..."
Say what job you're applying for and how you found out about it. List the documents you've included with the email, for example: "Please find attached my cover letter and CV". Email etiquette is slightly different to letters, so sign off with "Kind regards" instead of "Yours sincerely". Top tip: Make sure you use a sensible email address with a pattern like firstname.lastname@email.com, not workisforlosers@hotmail.co.uk. Remember, try not to use the same letter for different job applications. Take the time to write a cover letter that is unique to the job you're applying for and you'll be surprised by the results. We've got a special article listing all the major dos and don'ts which is also worth a look. Tags: how to write a cover letter what to write in a cover letter what is a cover letter?